Even plain ornaments can be embellished. Crochet ornament covers are a great way to embellish your Christmas ornaments. If you know how to crochet, you can create beautiful ornaments for your own tree and to give as gifts. If you'd like to earn a little extra money, ornament covers are often bestsellers at church and school bazaars. All it takes is a little crochet cotton, a hook, a ribbon, and an ornament and you are ready to get started. Ornament covers, or jackets as they are sometimes called, can be made in any color that looks good with the ornaments. You will find that the stitches are very familiar, most often using many of the same stitches that you use when crocheting a doily. Any ornament can be used for embellishing. This is an especially good way to cover up old glass ornaments that may have areas where the color is worn off. You can also cover satin ornaments. When the satin ornaments get old sometimes the threads become frayed and begin to unwind. By making the crocheted ornament covers you can continue to use them for many years to come. This also means that you can acquire the ornaments for your projects cheaply. Thrift shops, garage sales, and neighbors' hand-me-downs become inexpensive beginnings to your projects. There are hundreds of patterns for crochet ornament covers on the Internet. If you are just beginning to crochet, then look for patterns that are simple and contain mostly chains and single crochets. When you finish the cover, you can use ribbon and lace to give your ornament more detail. Gold thread makes this simple pattern stand out. This ornament cover uses a slightly elastic yarn to snugly fit the ornament. This beaded ornament cover is a good one for beginners. Put these covers over different colors of satin balls for a beautiful tree. This intermediate level pattern creates an intricately beautiful ornament. Snovej offers several patterns which range from intermediate to challenging, but they're all simply gorgeous and worth an advanced crochet enthusiast's time. You can embellish your completed ornament many different ways to give it a finished look. Adding silk flowers, organza ribbon, or small bells will make your ornament uniquely yours. This is also a great way to use up scraps left over from other projects. 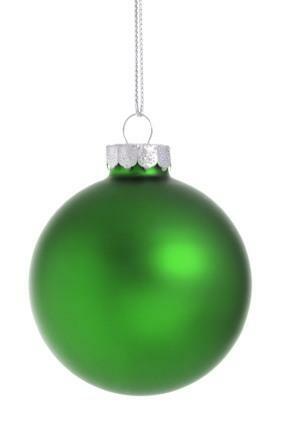 Use a low temperature glue gun to attach the items to the ornament for best results. You can also weave silk ribbon through the crocheted design, create a ribbon tassel to hang from the bottom, or add a bow to the top of your ornament. Let your creativity guide your project. It doesn't take many materials to make unique and beautiful crochet ornament covers, so get out your craft scraps and see what you can come up with. Visit LoveToKnow Christmas for all sorts of ideas for making your holiday season the best ever.